Unravelling the challenges presented during a ceiling leak situation is a task best left to the experts and that is why 911 Restoration Orlando owner Tomas Lelczak and his water damage Apopka team work with licensed, insured and bonded to do any kind of restoration work that may arise in your home. To give people the best restoration experience possible and mitigate the damages that these situations can coax requires speed, and that’s one of the reasons why Tomas will arrive as quickly as possible. “We’re also available around the clock to be at the scene of a leak, pipe burst, water heater failure, or any other form of water damage immediately, so that no matter when a crisis occurs, we can be there to save the day for people in need,” Tomas says. 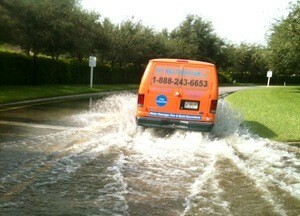 Our water damage Apopka specialists know how important it is to be available 24/7/365 in order to assist home and business owners after they have experienced water damage. 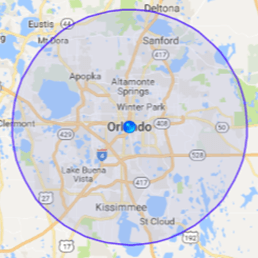 Our mold removal Apopka pros guarantee that when you call us we will get to your doorstep within 45 minutes of receiving that call. By getting to the damage site quickly, our water damage Apopka techs can minimize the damage that has been done and get your home back to normal. When it comes to these water emergencies, our mold removal Apopka operation always implements same day services, so you can be sure that your home or business will undergo restoration procedures as soon as our water damage Apopka techs arrive. Our mold removal Apopka agents will begin the process with a free home inspection, which will include an estimate on what it will cost to repair all the damages done to your property. Our water damage Apopka specialists also work with IICRC certified professionals, so you can trust that the most experienced workers are on the job. If your home is experiencing a ceiling leak from the latest severe storm action, and you want the best restoration work possible to have it look like new again, then don’t wait another minute to contact Tomas and his water damage Apopka team with 911 Restoration Orlando today! Tomas and his water damage Apopka crew knows everything there is to about how to alleviate the damages that a water invasion can cause, but they are also specialists at making sure these situations don’t ever happen in the first place too. In addition to being at homes quickly with talented and capable water damage Apopka technicians, Tomas and his water damage team will also bring the latest drying technology and cutting-edge suction equipment to extract and dry out the property as quickly as possible. “We field calls every day from concerned homeowners who just want to know what to do to keep their property safe from peril before a storm hits, and so we developed an extensive list of simple tips and maintenance tasks that will ensure a home has the best chance of evading water damage all together,” Tomas says. Gutters and downspouts must be regularly maintained, especially before the rainy season so that debris and leaf matter doesn’t clog and cause an overflow to occur. Check on the fittings, connectors and hoses that attach your water-based appliances to the main water line to spot any small cuts that may turn into ruptures when pressurized. Downspouts should always be directed so that the outflow discharges at least five feet away from the edifice so that the foundation doesn’t experience liquefaction from over saturation. Get a professional plumbing service or restoration professional to inspect your entire system and home for any small issues that may evolve to become more costly fixes down the road. If your home or business is experiencing a ceiling leak, water heater malfunction, or even a local area flooding situation, then never hesitate to give Tomas and the water damage Apopka team with 911 Restoration Orlando a call today! Tomas and his water damage Apopka team have seen and solved every imaginable kind of water damage infiltration into homes and businesses that exists and this is why they knew exactly what needed to be done when they arrived at the scene of a washing machine discharge hose failure. Expecting a large project, Tomas and his water damage Apopka crew got to the scene of the damage quickly and immediately provided a free visual inspection and then began pumping out water from the premises. If your home has had a washing machine malfunction, and you want the damages fixed immediately by the best there is, then give Tomas and his water damage Apopka team with 911 Restoration Orlando a call today!